Note - MK2/3 Menu 0.4 and 0.5 were tested for this review. Features may have changed since publication. The MK3 2006 is the NeoTeam's latest Nintendo DS development unit. This is an all in one solution that includes a Passme that sports 512Mb of internal flash, 2Mb of SRAM save storage and a 128MB SD flash card. A GBA boot-cart is also provided to contain the menu software. Like the MK2, this product supports clean, unpatched images, but has the added feature of booting games from the internal flash aswell as directly off the SD card. The MK3 and the Neo Key are well constructed. The NeoKey uses a far less brittle plastic in its construction than prior NeoFlash GBA carts. The exposed pins on the Neo-Key make for a better fit into the Nintendo DS. The Slim Loader IV looks suspiciously like the Slim Loader III, but it uses different drivers and is not compatible with current flashing software. The included SD card reader seems a bit on the flimsy side, but gets the job done. It requires no drivers when used with Windows XP. The driver CD includes Windows98 drivers if you need them. The NeoFlash MK3 2006 comes out of its excellent packaging ready to use. The NeoKey is already flashed with MK2/3 Menu 0.4. Simply plug the card reader into an available USB slot, drag the images onto the card, and your good to go. Installation of the Slim Loader IV is required only until SD menu flashing is supported. Later versions of the MK3 2006 will not include the Slim Loader IV. Installation of the Slim Loader IV is quite simple. Plug the Slim Loader into an available USB port. You will be prompted with a Windows hardware install wizard. Point the installer to the USB_Drivers/DD03-SlimLoaderIV directory on the CD. You will receive a warning about the driver not being signed by Microsoft, click "Install Anyway". The Slim Loader IV requires software to the flash the menu onto the card. Unfortunately at the time of writing this review the software is not released. The Neo-Team has reported that Neo Power kit 2.2 will support flashing of the NeoKey. Neo Power Kit 2.1 reports "No Device Attached". The NeoFlash MK3 2006 has two methods of booting game dumps; direct-boot and NeoFlash MK3 memory. When the Nintendo DS is turned on with the NeoKey and MK3 in place the MK2/3 menu is shown. By selecting the SD icon you will be presented with the contents of the card. Pushing the A button with an image selected starts the game in direct-boot mode. This is the same method as the MK2. It requires no flashing, so you can start playing quickly, but the compatibility is quite poor and loading times generally increase. Pressing the Y button flashes the dump to the internal MK3 flash memory. Only one game at a time is kept in memory. Once the game is flashed it will ask if you want to boot the flashed rom. If you already have an image in memory you can boot it by selecting the MK3 icon in the main menu. Compatibility with games flashed directly to the MK3 is better than playing directly off the SD card, but it still is not as good as many of the other leading products on the market. Keep an eye on my Nintendo DS compatibility database while we continue to test this product. Flash times are quite good. A 128Mbit game generally will flash to the internal memory in about 5 minutes. 256Mit images will transfer in 9 minutes and 512Mbit games generally clocked in at nearly 22 minutes. One feature absent from the MK2/3 Menu 0.4 is the ability to switch off the backlight by closing the unit while flashing. This could save some battery life. Backing up and loading saves is simple. If a game-save is present the 2Mbit save area on the MK3 you will be prompted by the menu to back it up before booting another dump. The game-save is written to the SD card with the same file name as the image that was played with the added extension "SAV". If a SAV file with the same name as the game which you are about to boot is on the SD card, the menu will prompt you to load it. A proper save manager would be nice, but this system works well enough. The 2Mbit save area is only meant for temporary storage of saves. It is recommended that you immediately reboot your DS and backup saves when you are finished playing. The MK3 uses a Lithium Ion battery to store save memory in the MK3. 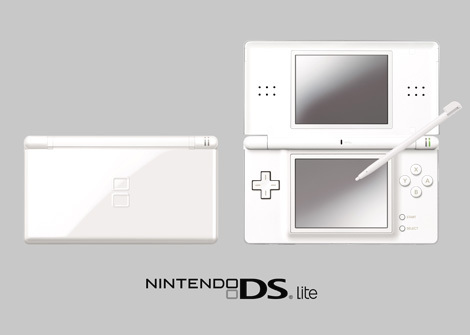 The battery is charged simply by having it plugged into the Nintendo DS. No battery replacement is required. MK2/3 Menu 0.5 supports dumping of commercial games to the SD card. The process requires selecting the game from the main menu. You will then be prompted to re-insert the DS game. Take it out and put it back in and the select the NDS game icon again. Press A and the game will begin to save to the card. At the moment you cannot upgrade to menu 0.5, so the dump feature is not available to the people who buy the MK3 2006 while updating the menu is not supported. I tested this feature with my XG2005 GBA flash cart. If you happen to own an XG2005 or NeoFlash GBA flash carts you have a third method of flashing your backup games. You can flash to the GBA cart directly from the SD card and play them by selecting the appropriate icon in the main menu. The save system is exactly the same as with direct-boot and the MK3 internal memory. The NeoFlash MK3 2006 is as all an one solution at a low cost. The inclusion of the NeoKey rather than a full-blown GBA flash cart keeps costs down. I feel that this product may not be the best solution for your needs at this time, mostly due to compatibility issues, and lack of advanced features. Not having the ability to update the menu out of the box is a little bit troubling. It seems like NeoFlash rushed this product out without finishing their software. As well, the included version of the MK2/3 menu seems a little bare-bones. Future version of the MK2/3 Menu and NeoPower Kit are sorely needed for this product. Lets hope that the Neo-Team can deliver on their promises in the near future. If the NeoFlash MK3 makes any drastic improvements with their software we will keep you updated on ISO-420 with an updated review.